I hit the road this weekend for some fun in the sun and good eats over in Palm Springs – about a 4 hour drive from my doorstep. The weather was perfect, about 85 degrees and sunny! 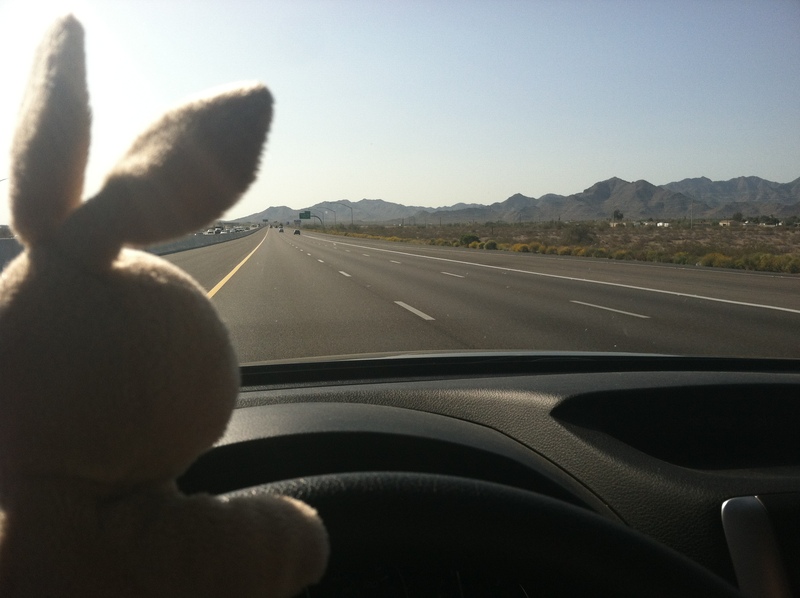 I just got my permit from the DMV last week, so Mimi let me practice on the freeway since there weren’t too many other cars around (not that that means she feared for the safety of others… just clarifying). 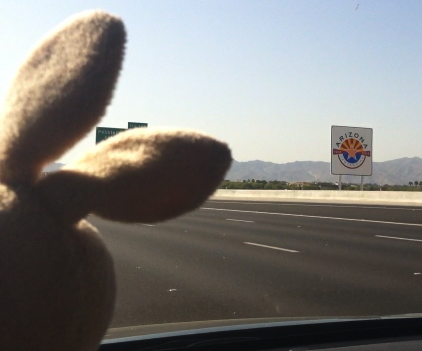 2012 is Arizona's 100th birthday, so the state put these pretty new signs up all over the freeway. Happy Birthday, Arizona! 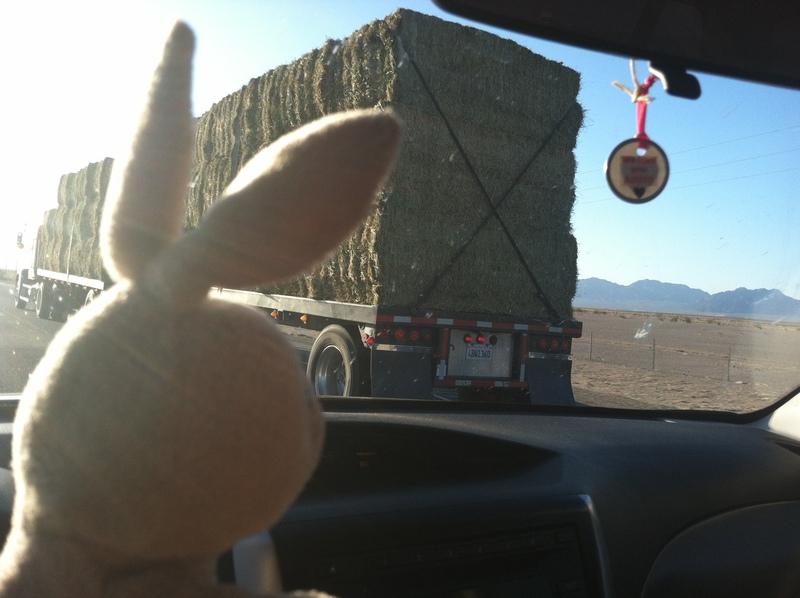 Hay! 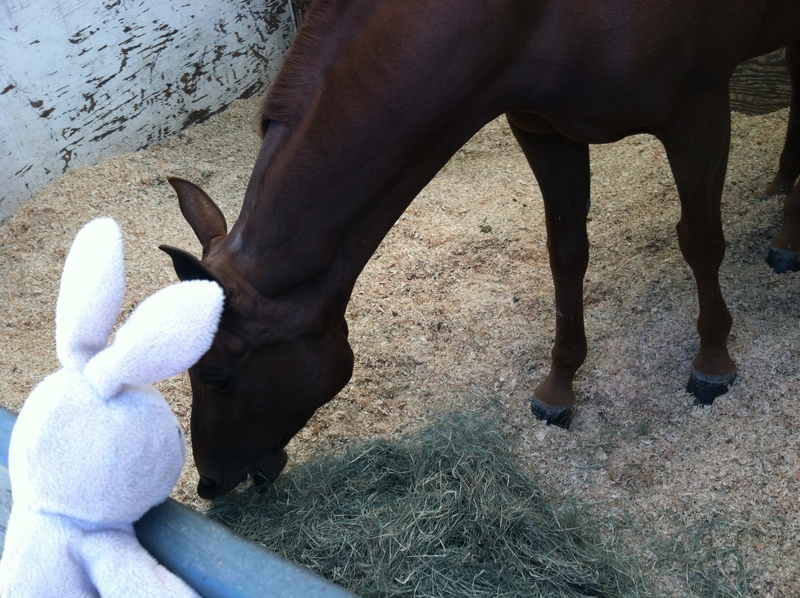 Just like what Mimi feeds her horses! 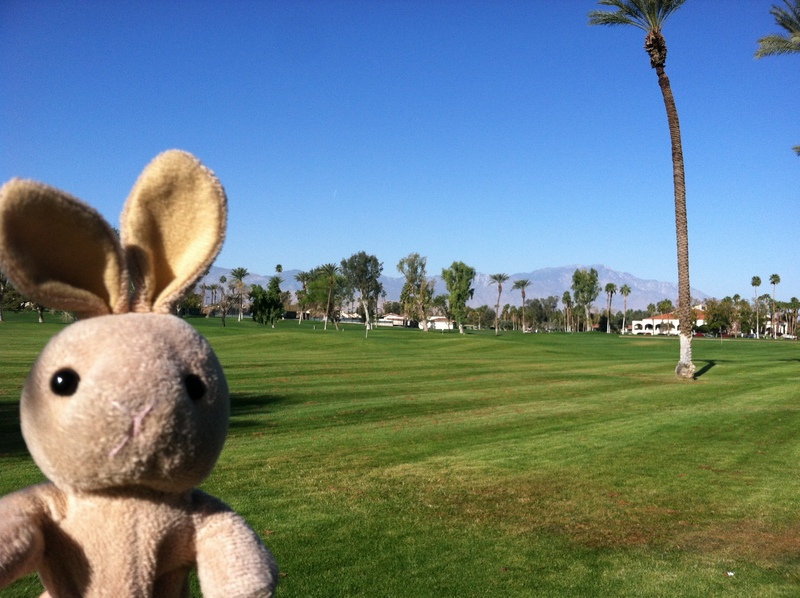 Hellooooo Palm Springs, CA! I think I'm ready to retire. 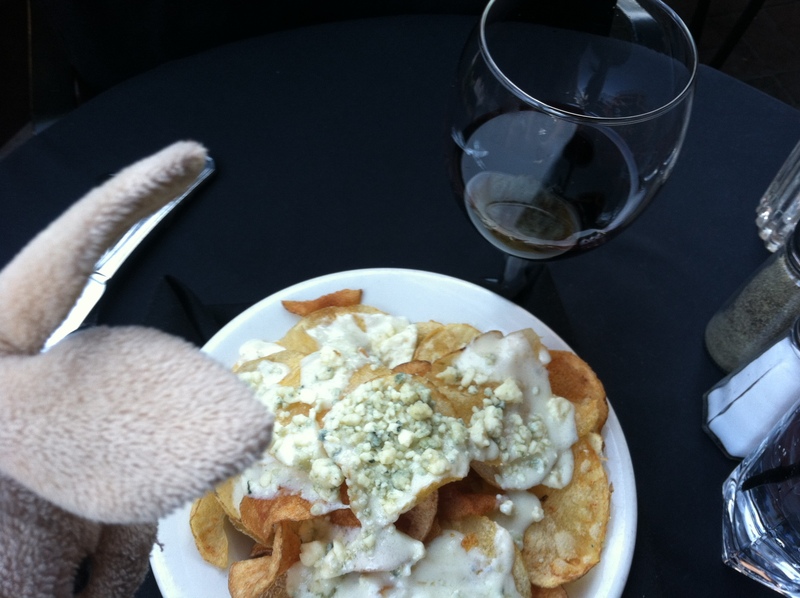 I had one of the BEST appetizers of my life at Sullivan's Steakhouse on Paseo Drive - House made potato chips smothered in bleu cheese sauce and crumbles! I could tell the chef really took his time in preparing this for me, because there were layers after layers of blue cheese deliciousness! 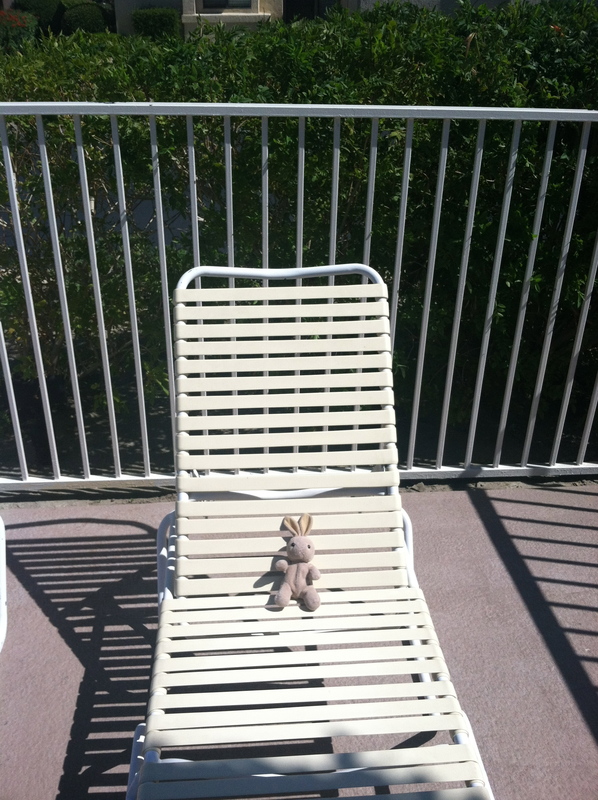 After I woke up from my potato chip coma, I spent time catchin' some rays by the pool. Aaahhh yes, the beauty... of my backside. 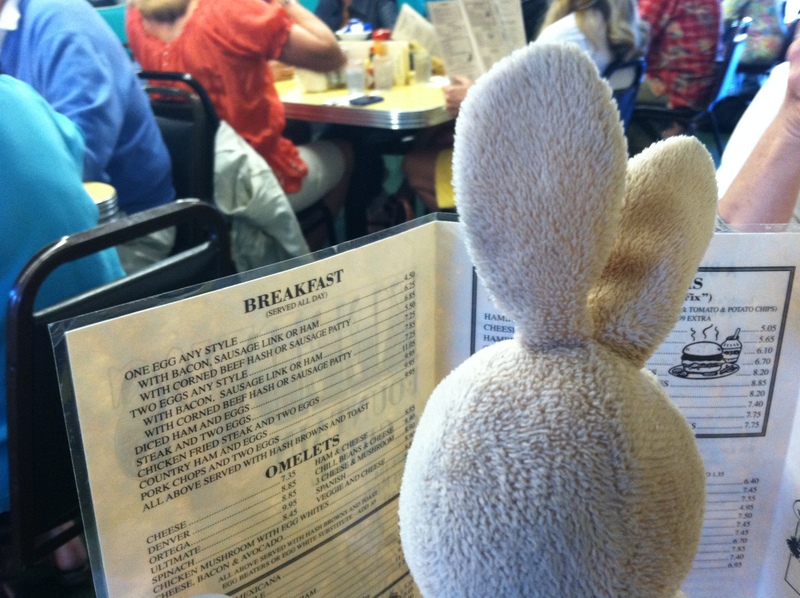 After I tanned my cheeks, I went to a yummy nummy breakfast! 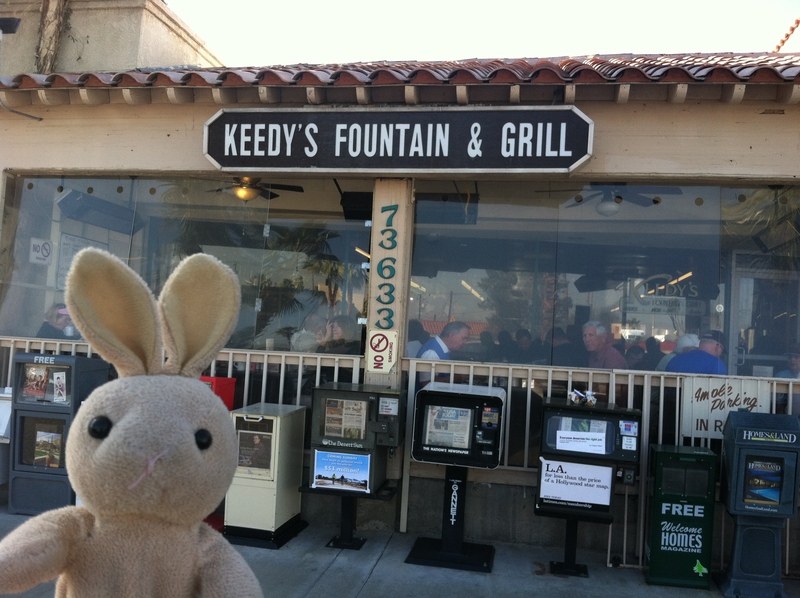 Keedy's is my favorite spot in Palm Springs for all things edible. 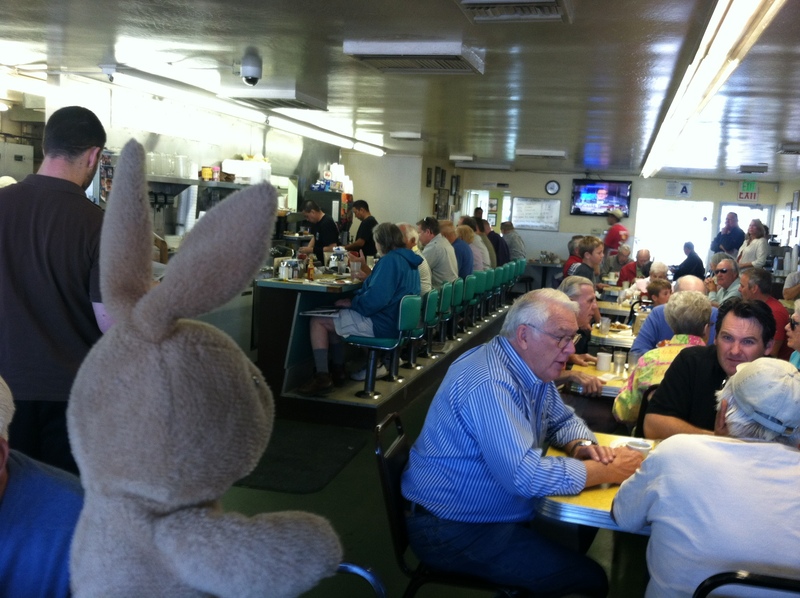 It's pretty tiny, but brings in all sorts of people for some dang good cookin'! 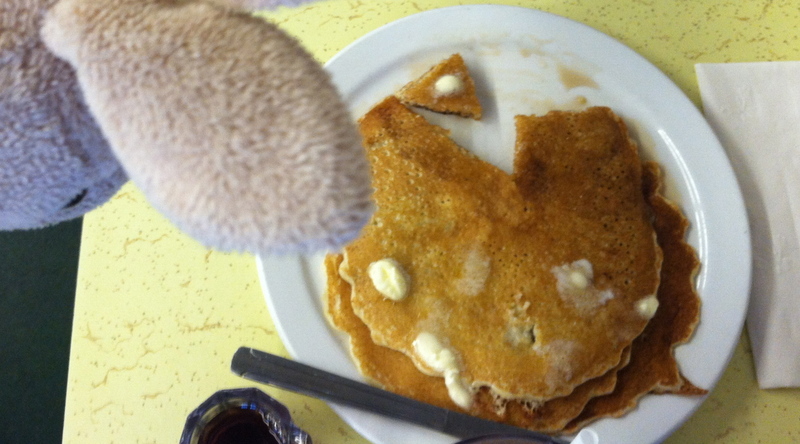 ... and the biggest stack of pancakes I ever did see. It was a short but sweet trip. Until next time, Palm Springs! I had been looking forward to this one for a loooong time. 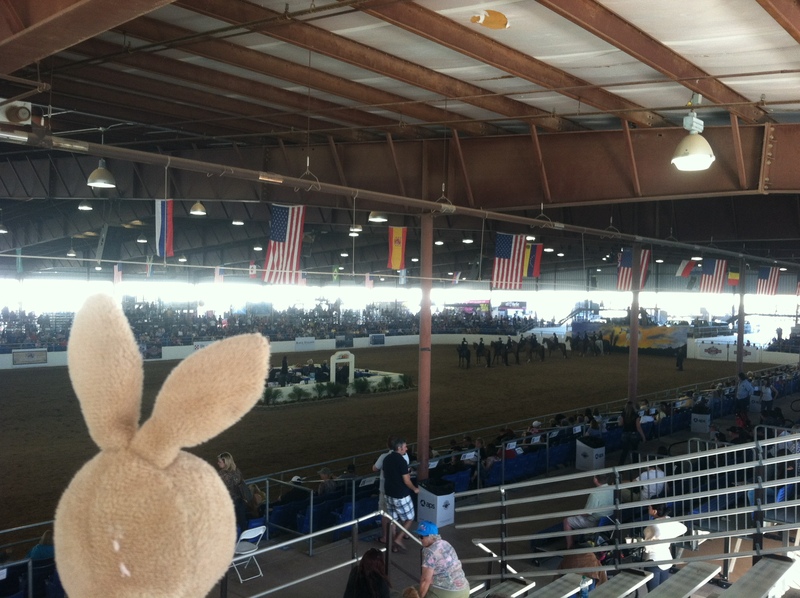 My Mimi says the Scottsdale Arabian Horse Show is practically like Christmas for her because she loves it that much. She has been competing here since 2001, but this was my first time, and I already can’t wait until February 2013! I met cowboys, went shopping, and saw some of the world’s most beautiful Arabian horses. This competition has been going on since 1955 and started with 50 horses. It has grown to nearly 2,500 horses bringing top owners, trainers and breeders from around the world. A win here can mean big money. These are the pretty stall fronts that each stable builds for their barn or "team". They get pretty decked out, huh? It's not a bad view either - minus those fugly telephone wires. 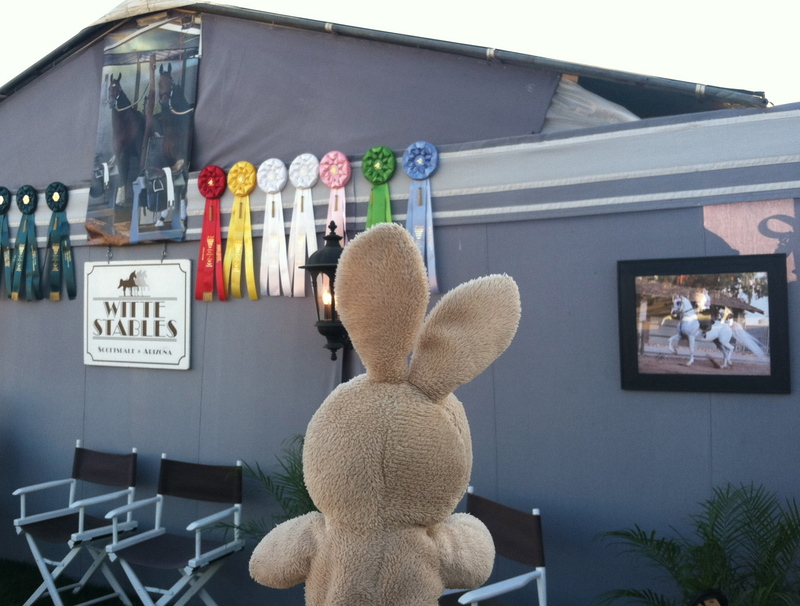 This is my Mimi's barn - they already have so many ribbons! I said hi to Lucy, one of Mimi's horses. We've met many times before. She was busy eating her lunch when I stopped by. Nom nom nom! 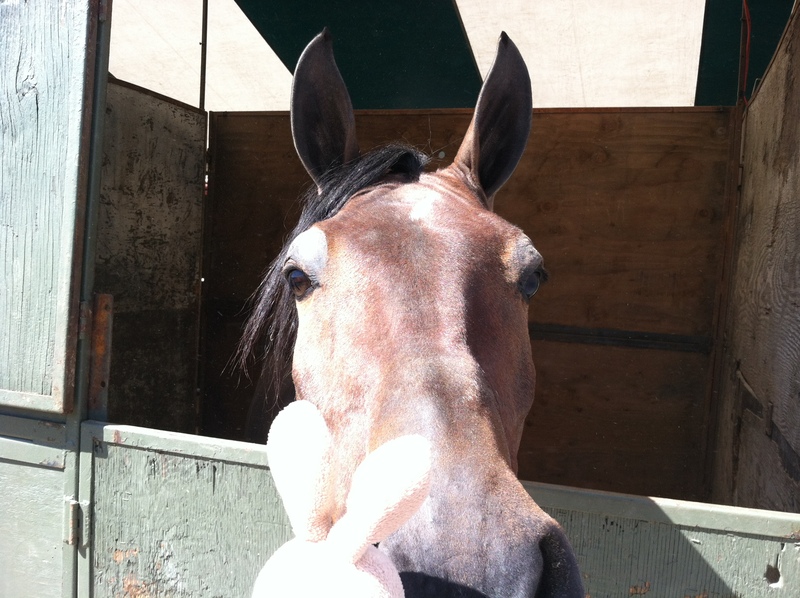 This is her new horse, Gambler! Hi Gambler! (this was our first meeting and he was really really nice) - they have already competed a few times this week, and did well. The championship is this evening! 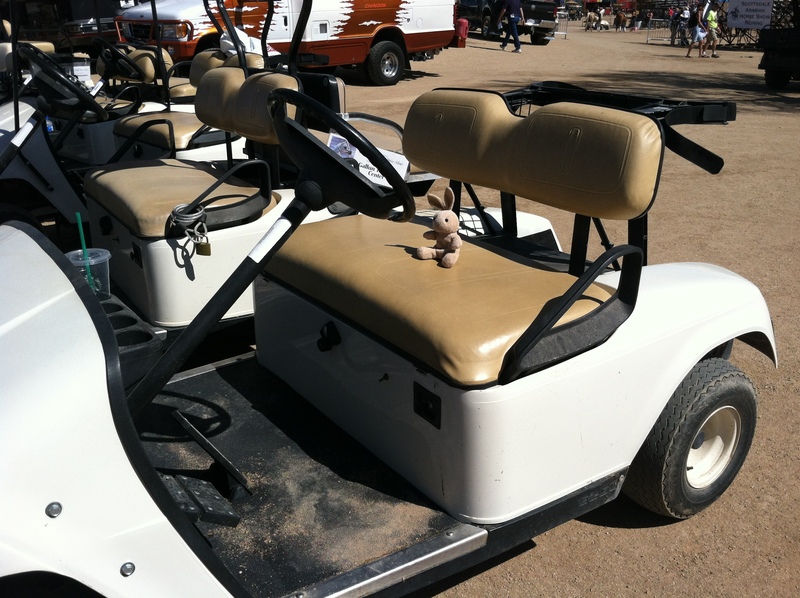 After I said hi to all the horsies, I went for a ride in the golf cart. "Golf carts at a horse show? ", you ask... yes! You wouldn't believe how many of these sweet rides cruise around the show grounds. 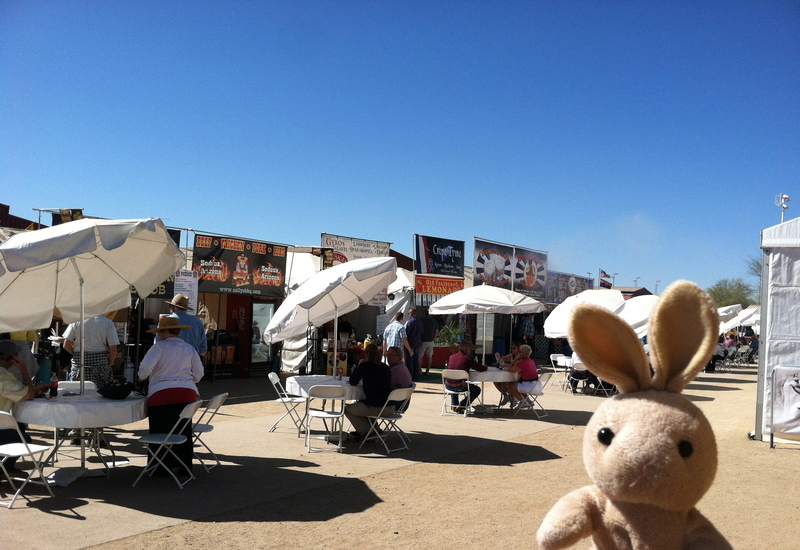 I drove myself right up to the food stands - and ate LOTS of it. Food at a horse show is oily, carbo-loaded flavors of awesomeness. Basically it's like eating at a state fair, but more... awesome? 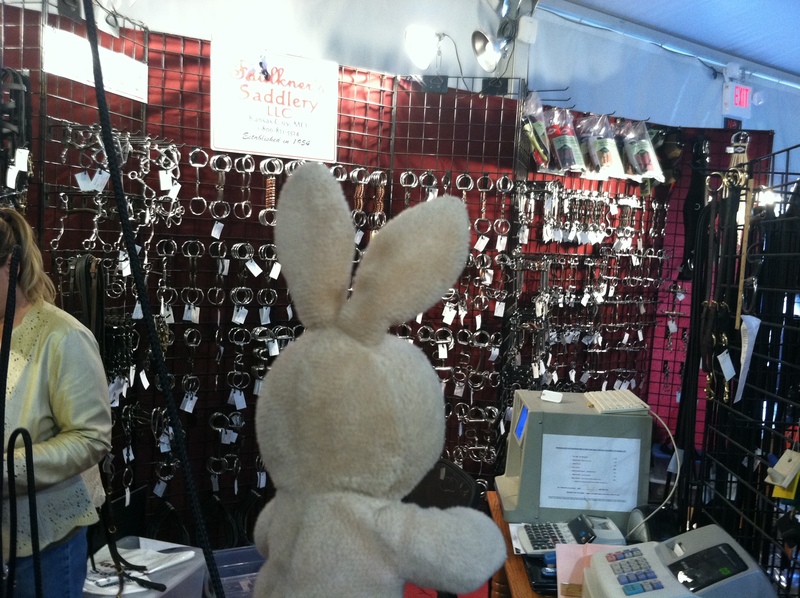 I walked my lunch off in the vendor's tents... so many things to see! 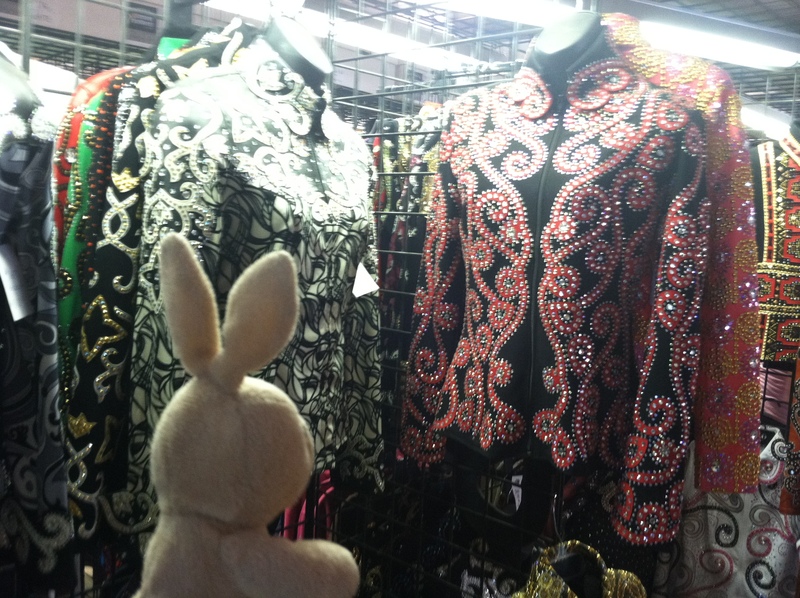 These are western outfits for the ladies, and totally decked out in bling. 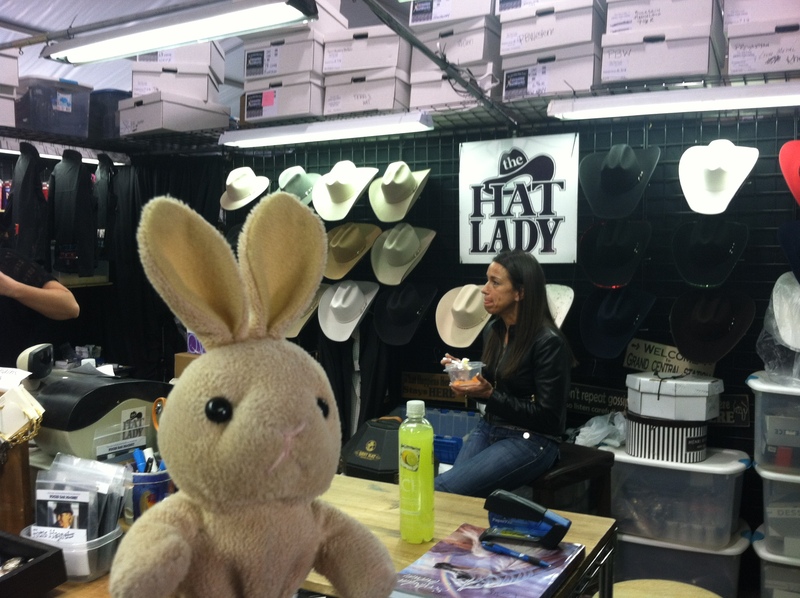 This is The Hat Lady - where Mimi gets all of her hats shaped before her big rides. 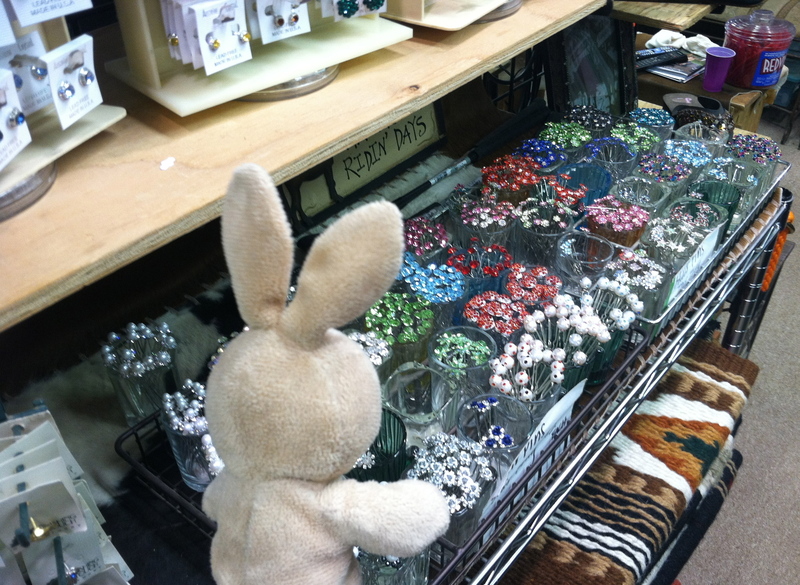 The Hat Lady doesn't just sell hats - these are the sparkly pins that the girls put in their buns while showing. So many options! Mimi said I didn't have the fur to pull them off. This booth sold a bunch of different bits - (the things you put in a horse's mouth to tell it where to go). Look at em' all! 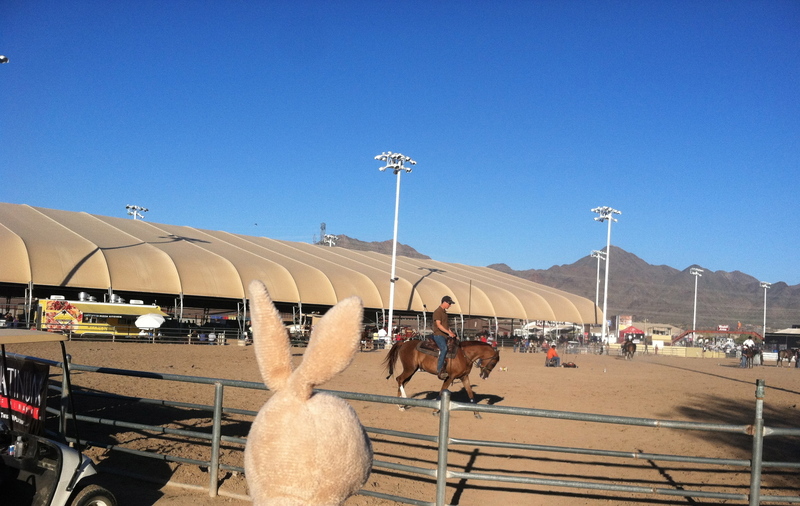 On my way up to the show arena, I saw a cowboy workin' his caballo. He let me come in the arena for a closer look. I saw a really big saddle with a horn - Mimi competes in the English divisions, not Western like this guy, but this stuff was still totally awesome. The horses compete here in the Equidome - big, huh? There was also an outdoor arena, where they did most of the halter classes (kind of like a dog show - the horses aren't ridden, they're exhibited in hand) shown below. I walked back to the barn to check on Mimi before her big class tonight. She was a little nervous, but said she was just really excited. I couldn’t wait to see her and Gambler compete! … and GUESS WHAT?! THEY WON!!!!!!!! YAY MIMI!!!!!! 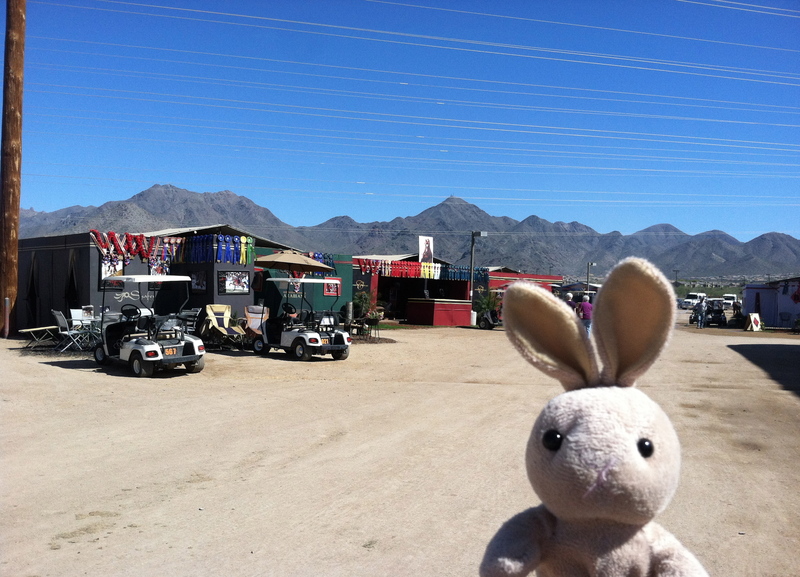 I was such a proud little bunny! 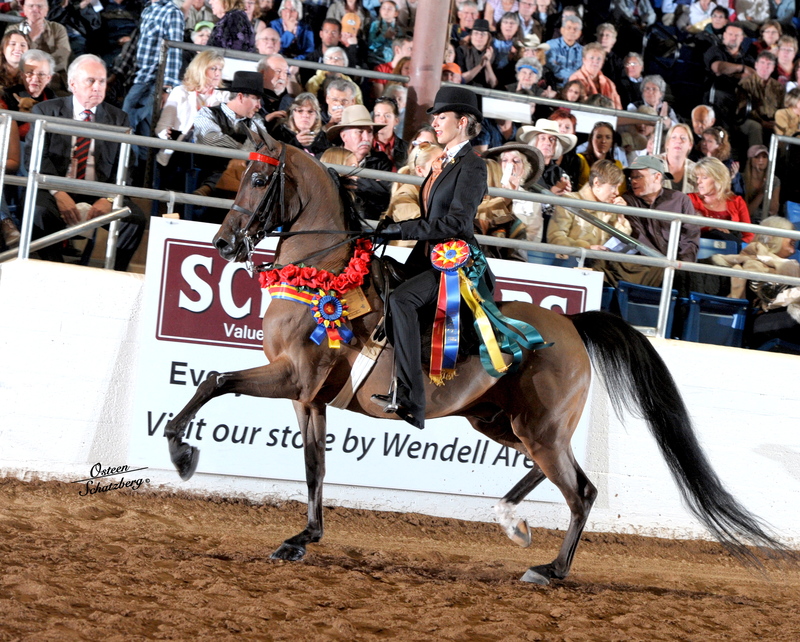 Would you like to learn more about the Scottsdale Arabian Horse Show? Click here. Hi dudes, ladies, n’ kiddies! 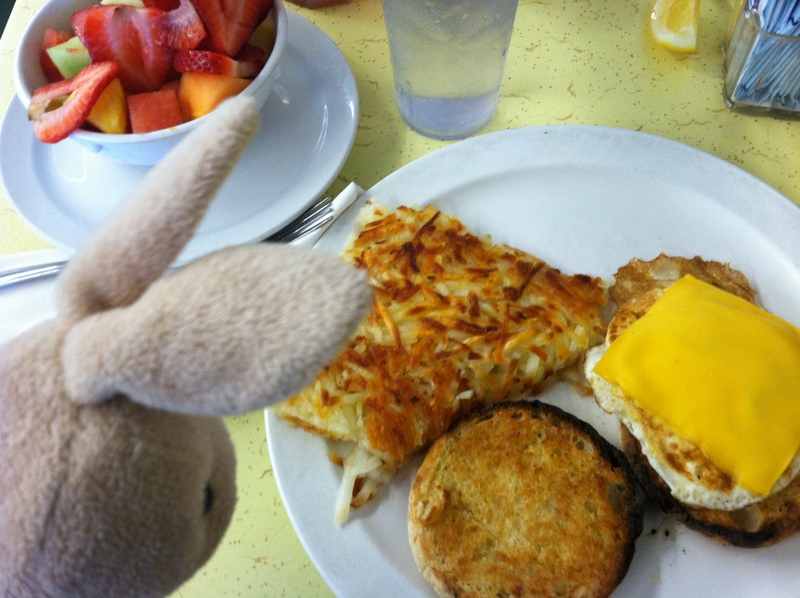 I’m sorry it’s been so long… I’ve just been such a busy bunny. 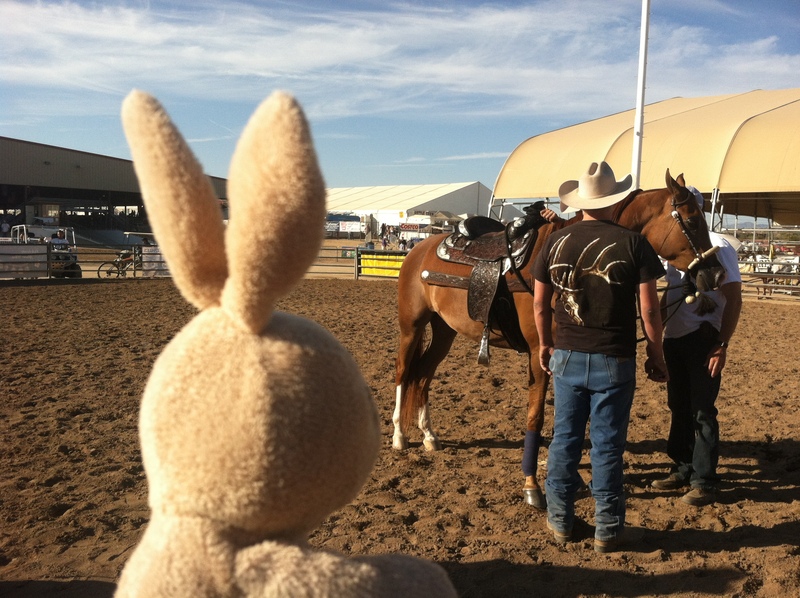 It’s been a jam-packed February for me with baseball games, horse shows, and just plain old bein’ a bunny. New post soon! 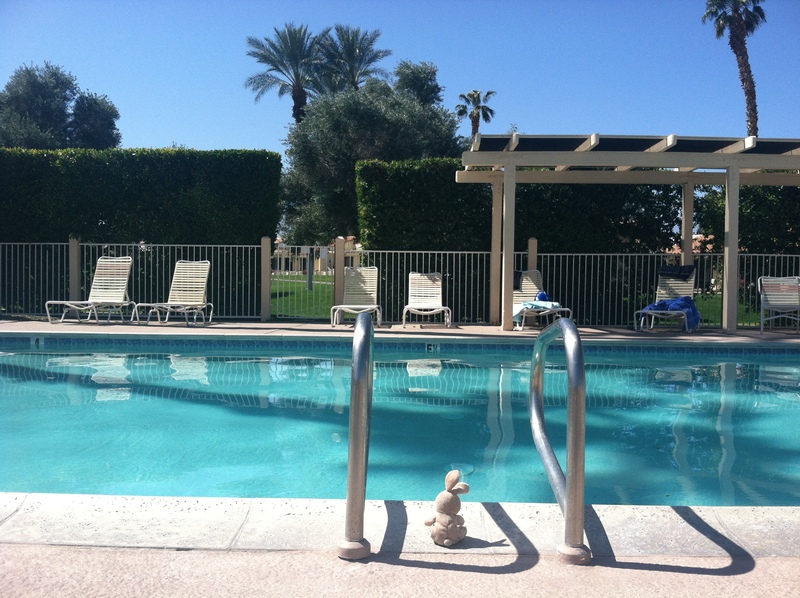 I’m off to Palm Springs for the weekend to get my tan on, but I’ll be back – with a beautifully bronzed bod to boot!